Situated in the eastern part of the North Caucasus, Chechnya is surrounded on nearly all sides by Russian territory. The population of Chechnya is approximately 1.3 million; this includes Chechens, Russians, Ingush and other North Caucasians. More than a million Chechens live in other areas of the Caucasus, Central Asia and parts of the Russian Federation. 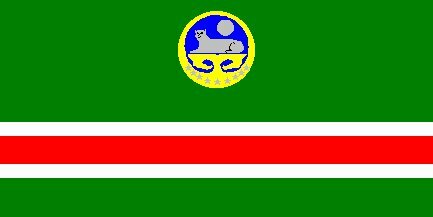 The primary languages of Chechnya are Chechen and Russian. Chechnya is predominantly Muslim, its inhabitants having been converted to Islam under the Ottoman Empire of the 15th century. Chechnya’s independence struggle dates back to the 19th century, when Russians who attempted to conquer the region were met with the fierce resistance of Imam Shamil. The Chechens were eventually overpowered and, in 1859, the Russians incorporated Chechnya into their empire. After the Second World War, Stalin sought vengeance for the alleged collaboration of Chechens with Nazi Germany. Most of the Chechen population was deported to Soviet Central Asia. Deported Chechens were allowed to return only in 1957 when Khrushchev was in power in the Kremlin. With the collapse of the Soviet Union, a Chechen independence movement emerged but was opposed by the Russian leadership. In 1991, Chechnya declared its independence, an act which was followed by anarchy. Following the ensuing First Chechen War with Russia, Chechnya gained de facto independence as the Chechen Republic of Ichkeria but Russian federal control was restored during the Second Chechen War. Sporadic fighting continued in the following years, with prominent human rights organisations continuously condemning human rights violations and violence in Chechnya.